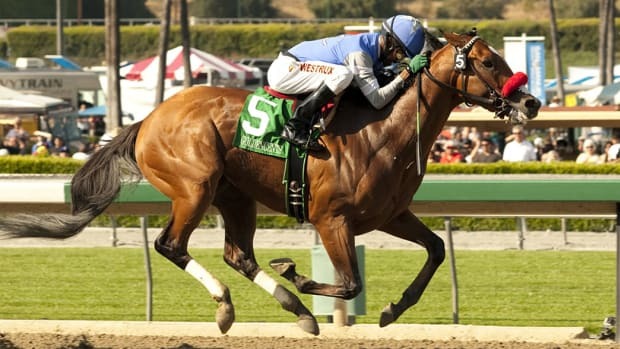 Explore 10 facts about American horse racing’s ultimate prize. 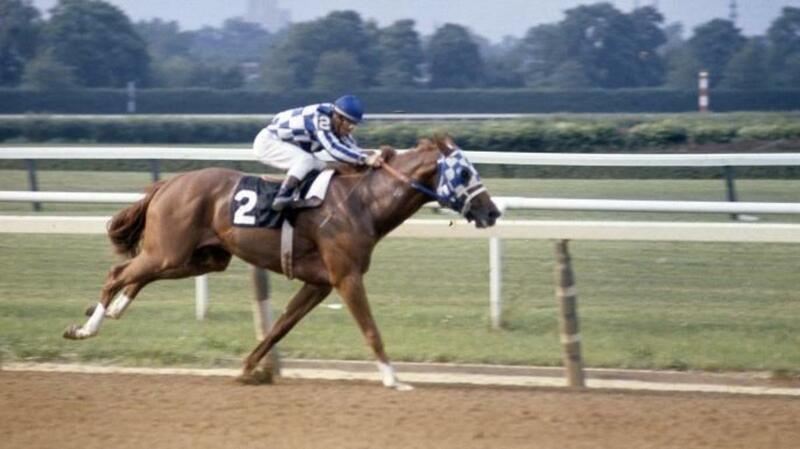 Secretariat and jockey Ron Turcotte near victory during the Belmont Stakes on June 9, 1973. 1. Sir Barton was the first Triple Crown winner in 1919. 2. There have been 11 Triple Crown winners. Thirty horses have won the first two legs of the Triple Crown, but 19 of them failed to win the Belmont. In addition to Sir Barton, the other Triple Crown winners have been Gallant Fox (1930), Omaha (1935), War Admiral (1937), Whirlaway (1941), Count Fleet (1943), Assault (1946), Citation (1948), Secretariat (1973), Seattle Slew (1977) and Affirmed (1978). 3. The last Triple Crown winner was in 1978. No horse has won the Triple Crown since Affirmed nosed out Alydar at the finish line of the 1978 Belmont. It marks the longest drought since Sir Barton won the first Triple Crown. There have been plenty of near misses over the last 34 years, however. Since 1978, 12 horses, including I’ll Have Another, have won the Kentucky Derby and the Preakness but not the Belmont. 4. There were seven years in which it was impossible to have a Triple Crown winner. 5. No filly has ever won the Triple Crown. The filly Ruthless won the very first Triple Crown race, the 1867 Belmont. Only two female thoroughbreds have captured the Belmont since, however. (In fact, only 22 fillies have ever competed in the event.) Three fillies have won the Kentucky Derby, and five, the most recent being Rachel Alexandra in 2009, have won the Preakness. 6. No horse was faster than Secretariat. On June 9, 1973, Secretariat didn’t just become the first horse in 25 years to win the Triple Crown—he may also have blazed the single greatest performance in horse racing history. 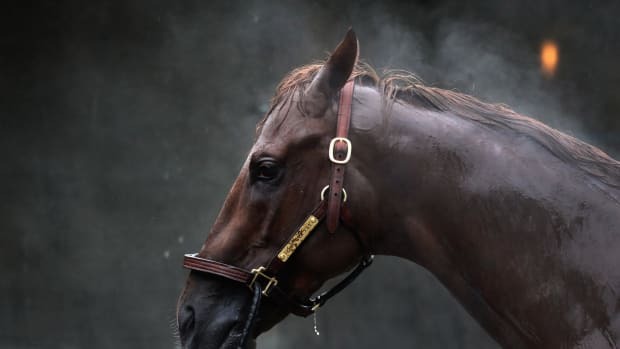 After winning the Kentucky Derby in a record time that still stands, “Big Red,” as he was known, set a world record for a mile-and-a-half distance on a dirt track at 2 minutes, 24 seconds. The overwhelming favorite, at 1-10 odds, crossed Belmont’s finish line an unfathomable 31 lengths in front of the field. 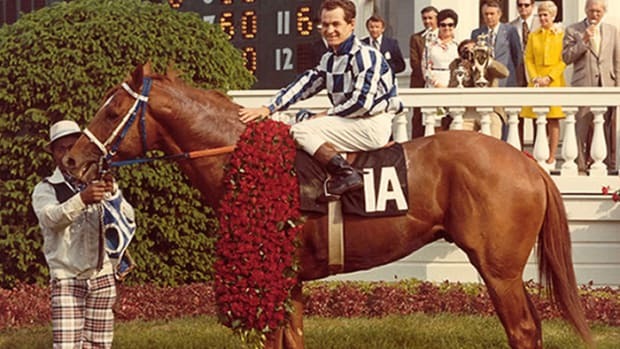 Secretariat was such a star that he was the only non-human on ESPN’s 100 Greatest Athletes of the Twentieth Century. 7. African-American jockeys dominated the early history of the Triple Crown. While there are few African-American jockeys in horse racing today, that was not the case in the early years of the Triple Crown races. In the inaugural Kentucky Derby in 1875, 13 of the 15 jockeys—including Oliver Lewis, who rode Aristides to victory—were black. Fifteen of the first 28 Derby-winning jockeys were African-Americans, including three-time victor Isaac Murphy. During the course of the 1890s, Willie Simms became the only black rider to win all three of the Triple Crown races. 8. The Belmont Stakes is the oldest and longest Triple Crown event. New York banker August Belmont established the Belmont Stakes, which was first run at Jerome Park in the present-day Bronx, in 1867. The race predates the Preakness (first run in 1873) and the Kentucky Derby (first run in 1875). At a distance of a mile and a half, it is the longest of the three races. 9. On five occasions, betting on the Belmont Stakes was as easy as flipping a coin. While a field of 12 will race in the 2012 Belmont, there were five times when the race had only two horses in the field: 1887, 1888, 1892, 1910 and 1920. 10. The Belmont Stakes favors inside-post horses and favorites. Looking to put a sawbuck or two on the Belmont? Here’s some history. Since 1905, the most winners, 23, have come out of the No. 1 post. Street Life will have the inside post for the 2012 Belmont. Also, the race often goes to form. Of the 143 previous runnings of the Belmont, the betting favorite has won 61 times, nearly 42 percent of the races.